Gross Weight (GVWR) 11685 lbs. 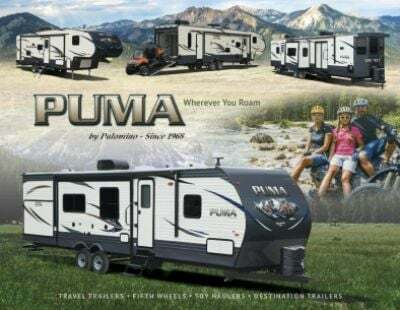 Memories and family adventures are made with the 2020 Palomino Puma 38RLB! Your family will love every moment inside this amazing Park Trailer! With All Seasons RV, you'll enjoy fast and easy financing on all models in our massive inventory! Visit 4701 Airline Rd Muskegon Michigan 49444 to speak with one of our RV experts, or call us today at 231-739-5269! It's unlikely that you'll find any issues when traveling long-distance with this reliable RV. It boasts an impressive GVWR of 11685 lbs. and an easy-to-tow hitch weight of 1525 lbs. Once you've reached your destination, you'll be able to enjoy the nice, cool shade and protection of the 19' 0" awning! 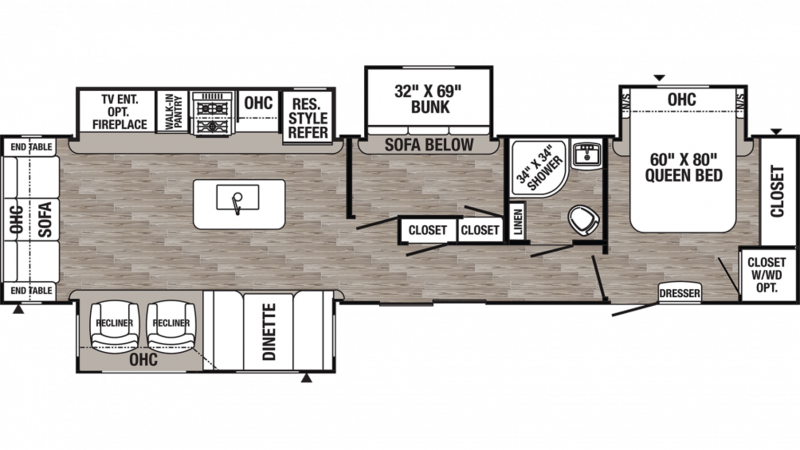 You'll love the ample space inside of this Park Trailer, which is 41' 8" long, 8' 0" wide, and 11' 9" tall! Plus, the interior keeps a stable temperature too! The climate is controlled by the 13500 BTU a/c unit and the 35000 BTU furnace. You'll be able to sleep nice and comfortable no matter how far away from home you are! The master bedroom is private and cozy, and features a snug and spacious Queen bed! You can sleep up to 9 people inside this RV with all its sleeping accommodations! Campfire snacks are alright, but in the 2020 Palomino Puma 38RLB, you can enjoy fresh meals anytime you want with the kitchen! There are modern appliances, including a 16.00 cu. ft. refrigerator, 3 burner range cooktop, and more! Clean, drink, or cook with plenty of freshwater thanks to the large 51 gallon freshwater tank! The roomy bunkhouse comes with cozy Flip-Up Bunk! So snuggle in and ease off to dreamland!